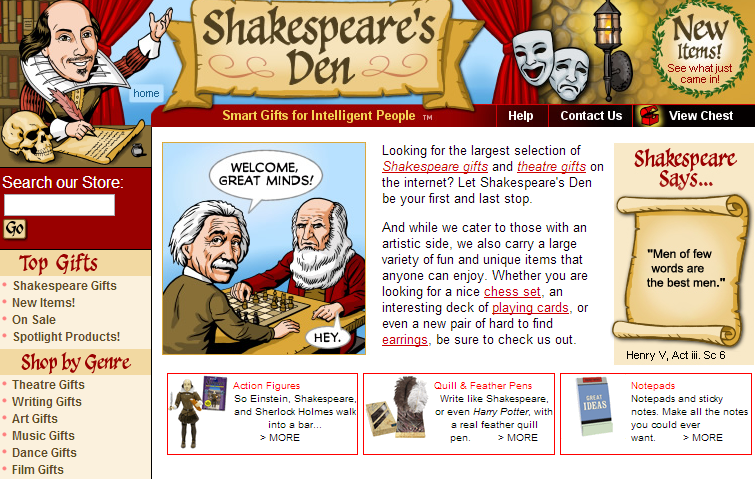 If you are a geek, and a Shakespeare addicted one, that’s the website for you! Amazing gifts and useful tools concerning your favourite dramatist, and much more. Personally, I don’t know if I will be able to resist and not buy one of that dolls or a lovely (?) Poor Yorick paper weight… Alas!! !